Jewish groups said they would create an alternative to Germany’s new commission on anti-Semitism, because the German government failed to include a single Jew on the panel. The eight-person body was established last year to prepare a report to the German parliament within two years. The goal is to find a way to tackle anti-Semitism. Members of the commission, mostly academics, convened for the first time on January 19. 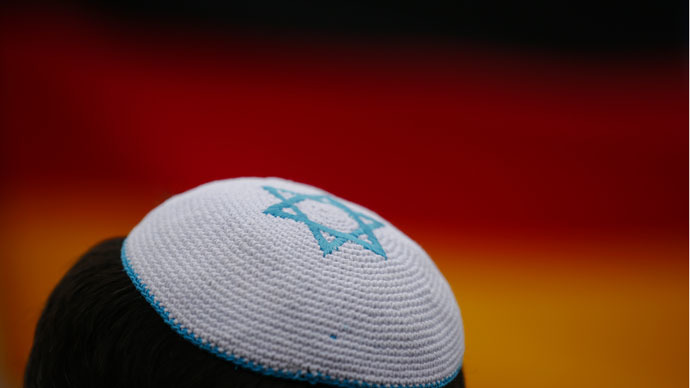 But Jewish groups sharply criticized the fact that the German Interior Ministry didn’t take into account the religious affiliation of the commission members. As a result not a single Jew was included. "It is an unrivalled scandal," commented Julius Schoeps, founding director of the Moses Mendelssohn Center for European-Jewish Studies in Potsdam. "German lawmakers and the interior minister must ask themselves why ... clearly no value is placed on experts from Jewish organizations and communities,” he said. "Nobody would even think of creating a conference on hatred of Islam without Muslims or a round table on the discrimination of women without women," said Anetta Kahane from the Amadeu Antonio Foundation. The two organizations banded together with the American Jewish Committee to establish what they called an alternative anti-Semitism committee, they announced on Tuesday. The Expert Commission on Anti-Semitism would include both Jewish and non-Jewish members from Germany and elsewhere, they said. The panel is expected to meet in March. Germany is among the European nations facing a rise in anti-Semitic mood, and the issue is particularly painful for the nation, harrowed by the legacy of Nazi Germany’s crimes against Jews. The increased number of anti-Semitic incidents is at least partially explained by a growing tension in the German Muslim population and their response to last year’s Israeli military crackdown in Gaza. The commission is the second of its kind, with the first one releasing a report in 2011. Jewish groups criticized it for failing to bring a change the attitude towards Jews in Germany.